Per Mike Johnson of PWInsider, the reason behind Mauro Ranallo not returning to the main roster isn’t solely owing to his past differences with JBL. A possible reason behind the same could be Ranallo’s intentions of working under Triple H and not on the main roster where commentators are produced differently. 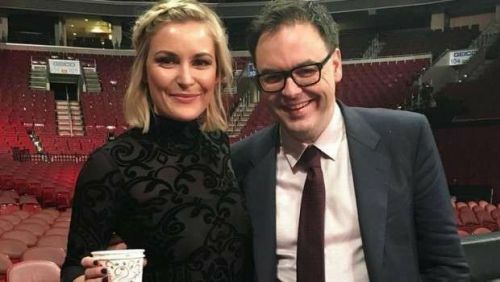 Mauro Ranallo is one of the most well-known commentators, who in addition to several other gigs in MMA (Bellator) and Showtime (Boxing), also works for the WWE. Ranallo was known as ‘The Voice Of SmackDown Live’ and served as the lead play-by-play announcer on the blue brand’s television tapings. However, Ranallo was conspicuously absent over the span of several days earlier this year, with the vast majority of professional wrestling experts attributing his absence to being bullied by JBL (John Bradshaw Layfield)—the claims of which were further accentuated owing to several other pro-wrestling personalities having narrated stories of JBL’s bullying antics over the years. Veteran pro-wrestling journalist Mike Johnson stated that following the aforementioned absence, Mauro Ranallo returned to the WWE with the agreement that he’d only work in NXT and under Triple H.
A key factor behind Ranallo wanting to work in NXT rather than the main roster shows (RAW/SmackDown) is the considerably different manner in which the announcers are allowed to go about their duties on the broadcast—something that famously led to Mick Foley quitting his lucrative, secure job with the WWE. Furthermore, Johnson noted that in his most recent stint with the WWE, JBL wasn’t as “abrasive” as he was back in the day. Besides, the bullying allegations against JBL are yet to be proven, and considering how all parties seemed to have settled the dispute now, neither Ranallo nor JBL or anyone else in management is likely to go public with details of the backstage dispute anytime soon. Mauro Ranallo presently serves as a play-by-play commentator for the WWE’s NXT brand—under the guidance of NXT founder Paul ‘Triple H’ Levesque. Meanwhile, JBL briefly stayed on as a SmackDown Live commentator, following the bullying controversy, but has now parted ways with the WWE. Irrespective of whatever JBL may or may not have done, he’s gone from the WWE, and the WWE Universe wishes him the best of luck in his future pursuits. On the other hand, it’d be great to see Mauro Ranallo back on the SmackDown Live commentary team, but given how happy he seems to be in NXT, all’s well that ends well.